The final season of Game of Thrones officially premiered last night, and with a new episode comes nearly an hour worth of new footage to analyze every single moment over. Let the fan theories pour in! Out of the many telling scenes fans are theorizing over today, many believe one conversation between Tyrion Lannister and Sansa Stark might mean the death of a major character by the end of the season. When the former husband and wife meet in Winterfell, their catching up was met with much excitement from fans. Between referencing Joffrey Baratheon's death at his wedding, which marked the last time they spoke, to Sansa warning Tyrion he shouldn't be so trusting of his sister Cersei, a lot of tea was spilled. But one comment from Tyrion has fans believing Jon Snow might die. The line in question comes when he tells Sansa, "Many underestimated you. Most of them are dead now." He is, of course, referring to Joffrey, Ramsay Bolton, and Petyr Baelish. But who's underestimating Sansa at the moment? Without a doubt, Jon. Since Jon left Winterfell last season to go meet with Daenerys Targaryen, Sansa has been extremely cautious in trusting the Mother of Dragons. And when she expresses this to Jon, he doesn't take her seriously. Instead, as we see in the Season 8 premiere, he assures Sansa he's doing what's best for Winterfell, and that they cannot win the battle against the White Walkers without Dany. Jon even goes as far as to tell Arya Stark that Sansa thinks she's smarter than she actually is. This could very well be the Jon's downfall. 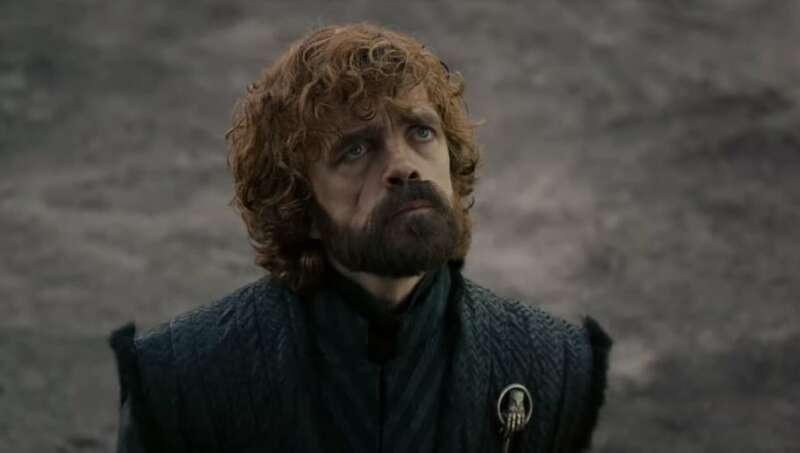 tyrion to sansa: "many underestimated you, most of them are dead now"
As Jon is now informed of his true parentage, one that makes him and Daenerys related, we'll see if his viewpoint on her changes at all. He's the true heir to the Iron Throne now, and (hopefully) won't have love blinding him any longer. Sansa even asks Jon earlier on in the episode if he bent the knee to Dany simply because he loves her, and I guess we'll find that out in coming episodes. In the meantime, Jon better start listening to what Sansa is saying. Or it could cost him his life.